In the 12 matches that the Super Eagles played under the departed Sunday Oliseh, the three-time Nations Cup winners won six, drew four and lost two, scoring 16 goals and conceding five. Though his leadership of the team lasted less than one year, he sowed some seeds that should be watered by Samson Siasia and whomsoever is named the substantive manager of the team by the Nigeria Football Federation in the days to come. 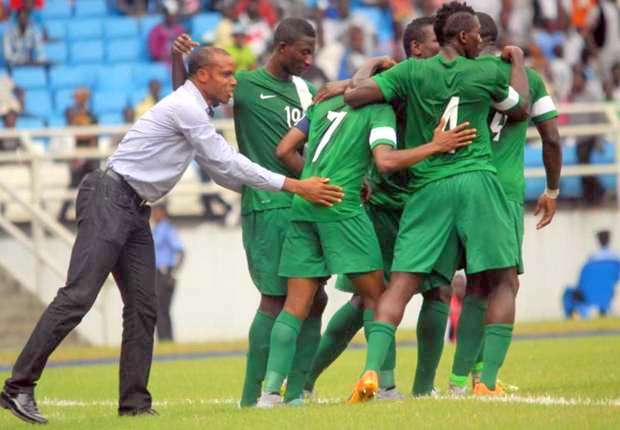 In 2015, FIFA acknowledged that the Super Eagles fielded the youngest national team in the world and that was because Oliseh ensured that his team had a preponderance of young players who had most often times never played for the Eagles. This is a tack that must continue under Siasia, the Super Eagles must never be turned into a Redemption Camp for ageing and tiring players or those that need a lift to get back into the mainstream. Football is played more by the young, athletic and skillful players, who have a name to make. In the 12 matches that the team played under Oliseh – they conceded just five goals and these were in four matches; two goals against Congo DR in a friendly and single goals against Niger, Tunisia and Guinea. While it is a well-known fact that Siasia likes to set up his side in offensive mode, he must also realize that if the Eagles do not concede, then they have a better chance of getting one over Egypt. What Oliseh preached throughout his stint to his players in training and during matches was possession. At the Africa Nations Championship in Rwanda against Tunisia and Guinea, his team was bereft of possession and lost the lead against Tunisia and lost against Guinea. Without the ball, most teams are unable to hurt the possession. Against Egypt, who will try to play on the counter, the Eagles will be best advised to play good possession football. They should be patient and seek better possession in the last third to hurt the Pharaohs. The Oliseh regime is definitely over but there are characteristics that have been sown that Siasia can water to fruition.